advocating related education reforms to integrate National Board Certification into American education and to capitalize on the expertise of National Board Certified Teachers. 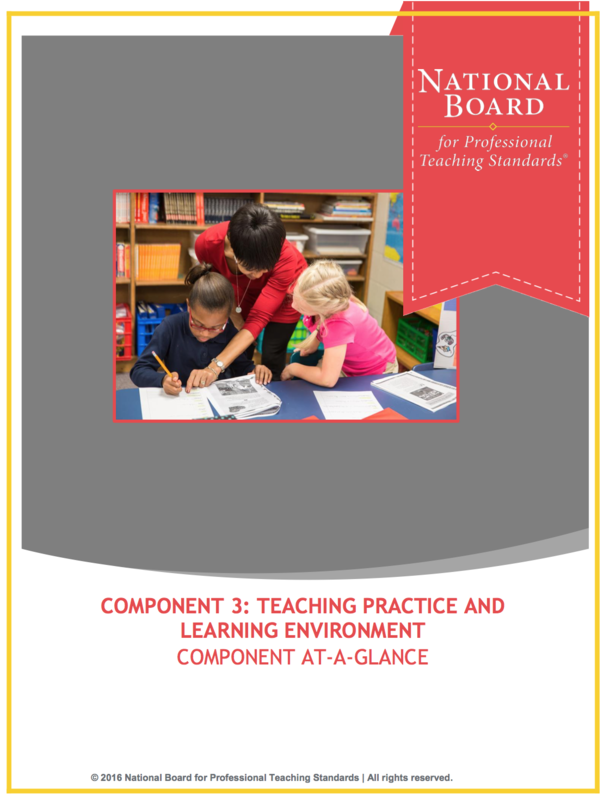 Recognized as the “gold standard” in teacher certification, the National Board believes higher standards for teachers means better learning for students. Founded in 1987, the National Board began by engaging teachers in the development of standards for accomplished teaching and in the building of an assessment – National Board Certification – that validly and reliably identifies when a teacher meets those standards. Today, there are 25 certificate areas that span 16 content areas and four student developmental levels. 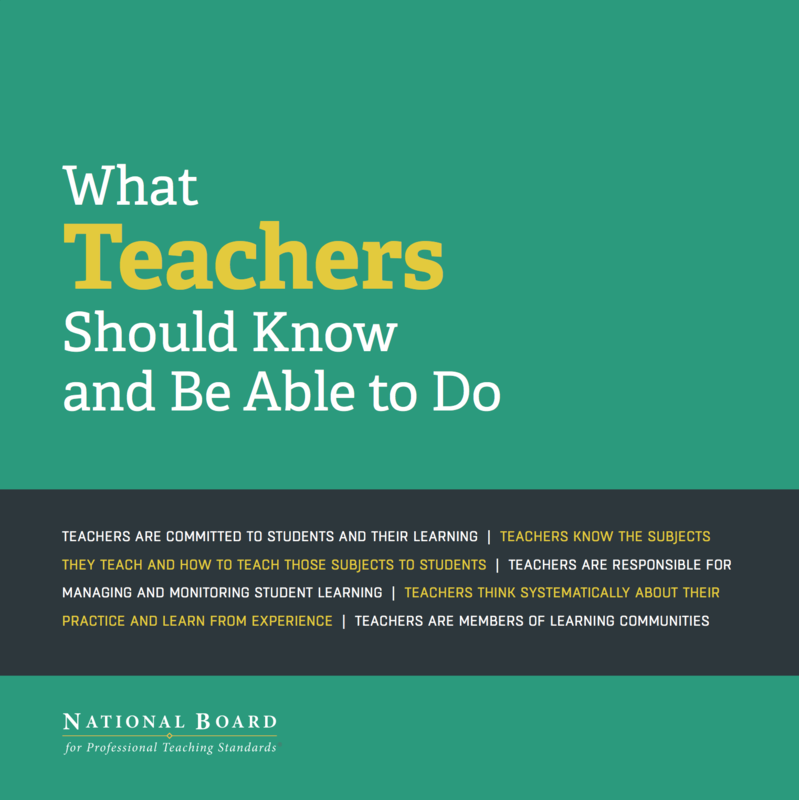 The essence of the National Board’s vision of accomplished teaching is captured in the enduring document “What Teachers Should Know and Be Able to Do,” at the heart of which are the Five Core Propositions. Want to learn more about what teachers should know and be able to do? 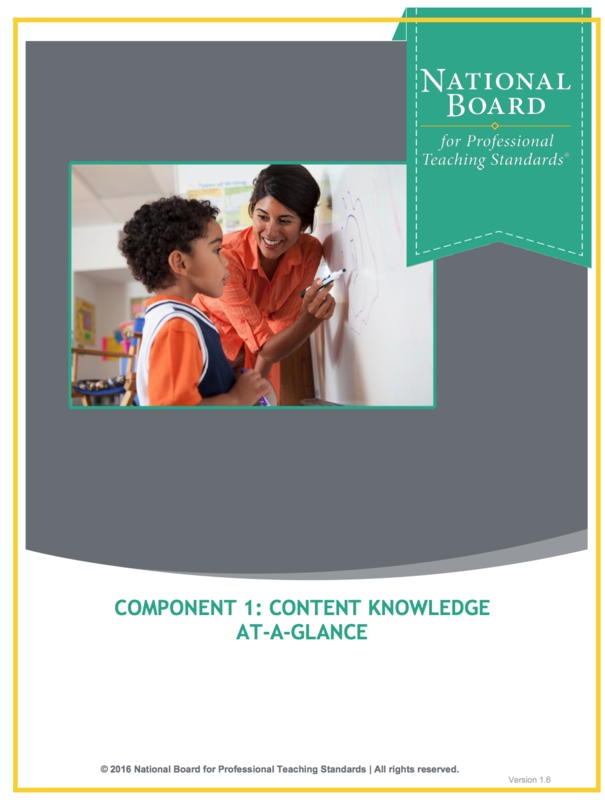 Please download the National Board’s What Teachers Should Know and Be Able to Do guide that articulates their approach to the Five Core Propositions for teaching. A computer-based assessment asks you to demonstrate your understanding of content knowledge and pedagogical practices for teaching your content area. You must demonstrate knowledge of developmentally appropriate content, which is necessary for teaching across the full age range and ability level of your chosen certificate area. This is assessed through the completion of three constructed response exercises and 45 selected response items. 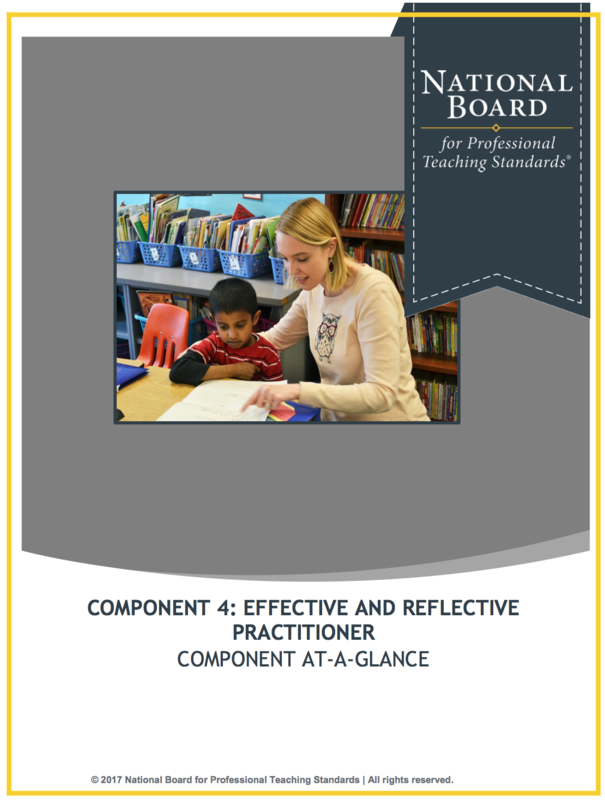 This classroom-based portfolio entry requires that candidates gather and analyze information about individual students’ strengths and needs and use that information to design and implement instruction to advance student learning and achievement. You will submit selected work samples that demonstrate the students’ growth over time and a written commentary that analyzes your instructional choices. This is a classroom-based portfolio entry that requires video recordings of interactions between you and your students. You will also submit a written commentary in which you describe, analyze and reflect on your teaching and interactions with students. Both the video and the written commentary should demonstrate how you engage students and impact their learning. This portfolio entry requires you to demonstrate evidence of your abilities as an effective and reflective practitioner in developing and applying knowledge of your students; your use of assessments to effectively plan for and positively impact your students’ learning; and your collaboration to advance students’ learning and growth. 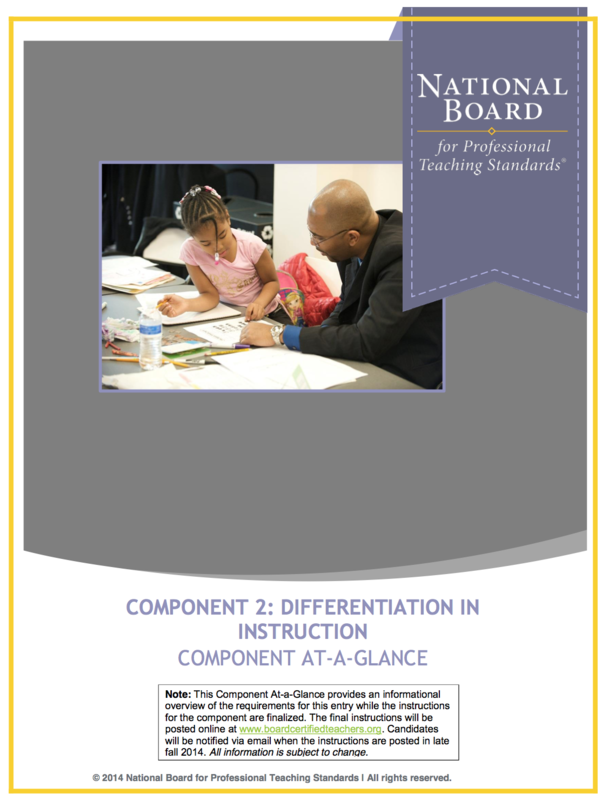 For more information about the four components of the certification process, please visit National Board’s website. The certification process is more flexible than ever. Set your own pace and sequence throughout the process. You may take up to three years to complete the four components, and you may complete the components in any sequence. 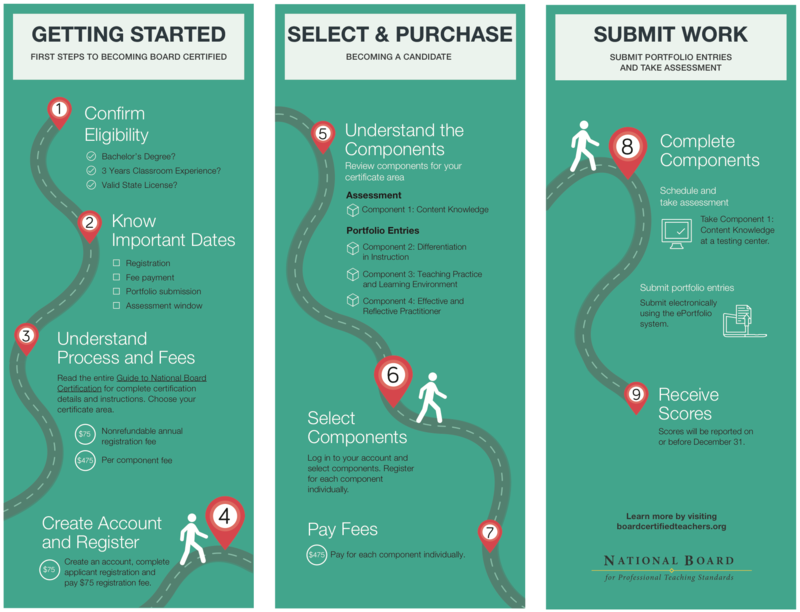 You have two opportunities to retake a component, if needed, and each component may be paid for separately. We are here to help. If you have a question about our component support, how to get involved with the Institute, or anything else please feel free to get in touch. Simply fill out the form below and we will respond to your note shortly. We look forward to hearing from you!